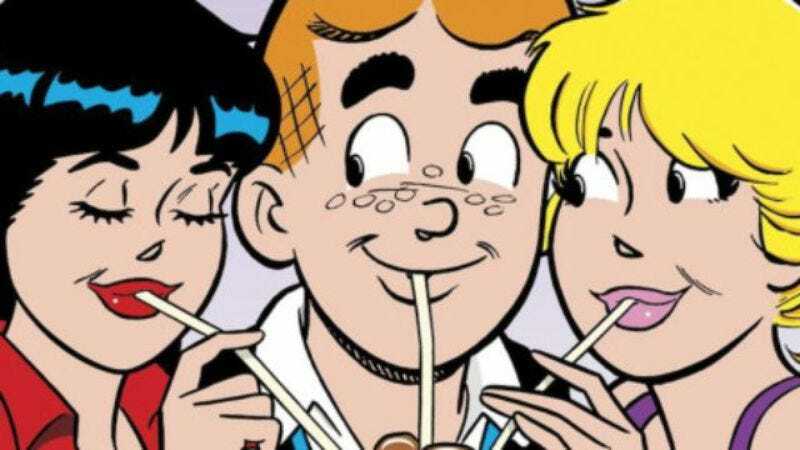 Delighting fans of romantic geometry and weird, crown-shaped hats—and rapidly depleting our precious supply of “Stay outta Riverdale” Simpsons references—The CW has announced that it’s ordering Greg Berlanti’s Archie adaptation Riverdale to series. Starring KJ Apa, Lili Reinhart, and Luke Perry, the “subversive” take on America’s favorite teenager will be Berlanti’s fifth series on the network, joining Arrow, The Flash, Legends Of Tomorrow, and the just-migrated Supergirl. But it’s not just Berlanti, the Shonda Rhimes of light-and-fun comic book adaptations, who got good news today. The CW also gave a green light to Jane The Virgin producer Ben Silverman, for his new telenovela adaptation, No Tomorrow. Based on a Brazilian series, it centers on a no-nonsense young woman who falls in love with an all-nonsense fella (Galavant’s Joshua Sasse) who thinks the world is about to end. Also, like Jane, the series will come with a pilot directed by Casper helmer Brad Silberling, because apparently someone at The CW is on a real “weird comics your mom used to buy for you at the grocery store” kick today. Finally, another long-standing CW associate, The Vampire Diaries’ Julie Plec, got some less stellar news today. Plec’s latest show, Containment, was greeted with lackluster ratings and critical shrugs (or worse) when it debuted last month. Well, Containment has now been contained, with The CW announcing that it won’t return for a second season. But hey, look on the bright side, Plec Heads: her other two CW series—Diaries, and its spinoff, The Originals—have already been renewed.